The world of municipalities and Law Enforcement agencies has changed so drastically in recent years that departmental polices written as recently as 5 years ago could be considered out of date and a potential liability. In addition, some agency policy manuals are poorly written and in some cases, contradict themselves from one section to another. 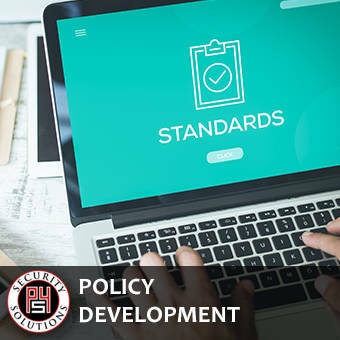 The experienced professionals at P4 Security Solutions have helped numerous municipalities and Law Enforcement agencies review and rewrite their policy manuals with much success. Policy documents that are well crafted, up to date and enforced have been proven to not only minimize liability risks, but also can help defend the employees involved when a court proceeding case has been initiated. We custom design our policy manual creation for each law enforcement agency and also actively involve their employees, management and union representatives in the process to achieve a better sense of inclusion and adherence from everyone.